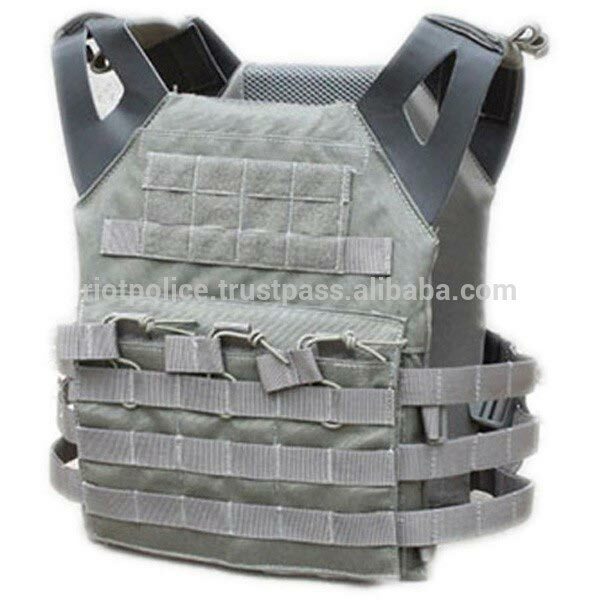 We have a strong foothold as Manufacturer, Exporter and Supplier of Bulletproof Vest (ZJ-JPC) from China. We make use of top of the line quality fabric for its production in order to enhance its quality and performance. Buyers are free to place even bulk orders of JPC Tactical Plate Carrier with us and we will deliver them within the promised timeframe for sure! Construed by 1000 Denier nylon, with high strength lightweight buckle. Exterior modular webbing throughout for customization with pouches and other attachments,such as bottle bag , carrying bag ,etc. Perfect package edge & Sewing Skills, made of high quality. Panel with Velcro module for attaching ID patch or additional pouches or gear. Suspension back system, comes with padded back & waist belt, perfect for your carry experience.